Coupon codes are a simple but powerful tool to offer a discount to customers on your site. This can help turn them into returning, repeat customers. This is a great way to boost sales and overall business for your online store. 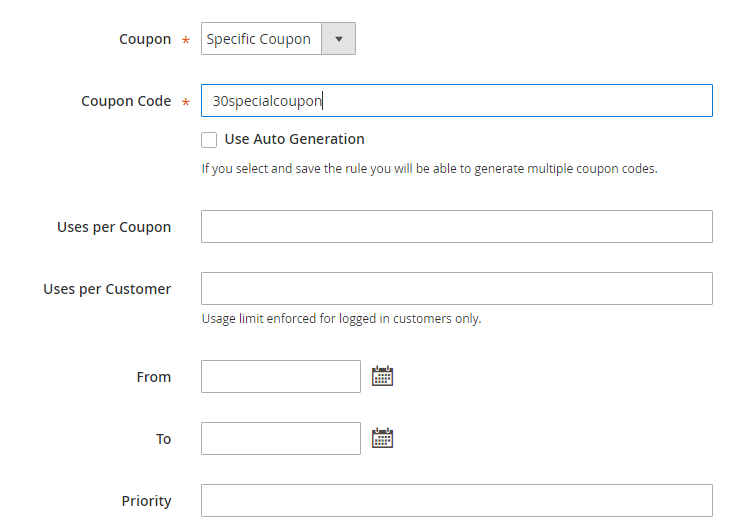 While this article explains how to create a coupon with specific coupon codes that are required to be entered in by the user in order for the discount to be applied, you can also create coupon codes that are automatically applied without an actual code being entered in. Coupon codes can be created for all users, users who make a purchase over a specific amount, or a particular customer group. Open the Rule Information tab and enter the appropriate info for this rule. Customer Groups: Select which specific customer groups can use this coupon code. If this coupon can be used for all customers, select every available customer group listed in this section. Coupon: Select “Use Specific Coupon”. Priority: This sets the importance of the rule. The lower the number, the higher the priority, when other rules are in place. 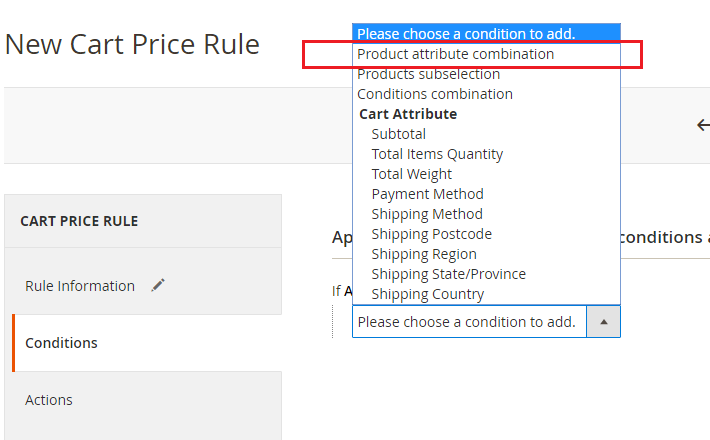 The Conditions tab lets you set specific conditions for this rule that must be met for the rule to be applied to the cart. If the rule will be applied to all products, leave this section as is and move on to the Actions tab. Click the green plus sign to open a drop down of options to select. 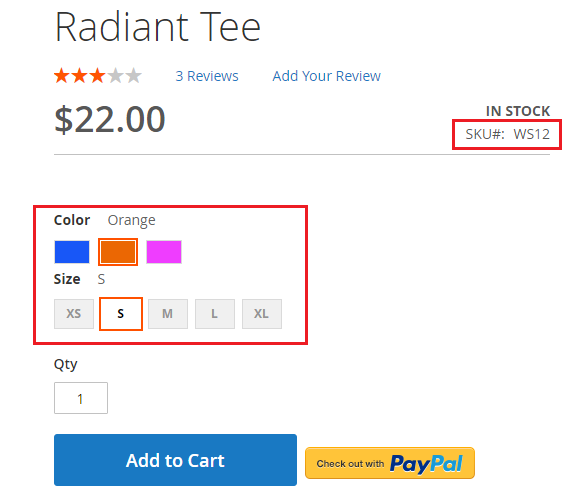 Select Product attribute combination from the drop down. 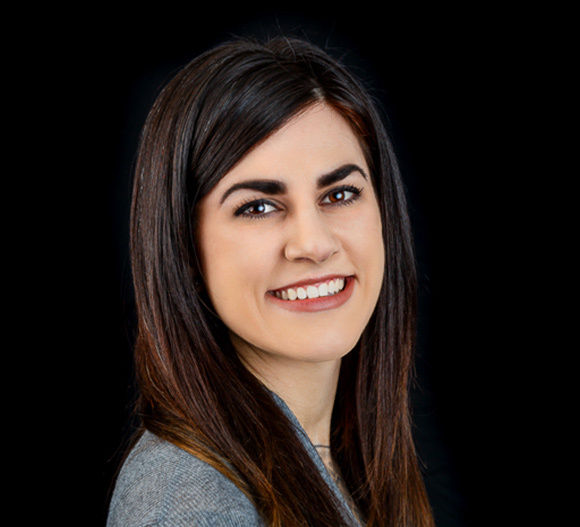 NOTE: This step is extremely important if there are multiple SKUs applicable to the rule. 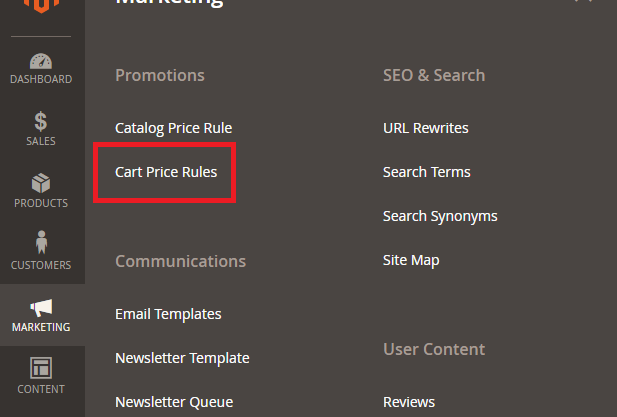 If this is left on “is” and multiple SKUs are added to this rule, the coupon code would only work if ALL the matching SKUs were added to the cart. Set specific details for the coupon under the Actions tab. Discount Amount: The discount amount you’re offering for this coupon. For our example, enter “30” into this box. Minimum Qty Discount: The quantity of products on which the discount will be applied. Apply to Shipping Amount: Set this to “Yes” if you want to apply the discount rule to the shipping cost as well. Discard Subsequent Rules: Select “Yes” if you don’t want a customer to be able to use other rules after this, if this one is being used. 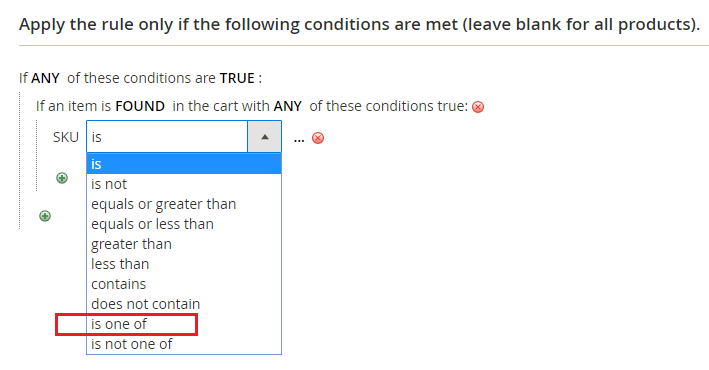 Free Shipping: Choose an option from the drop-down if it applies to your rule. For Matching Items Only: Free shipping will only be available for items in the cart that match the rule. For Shipment With Matching Items: Free shipping will be available for the entire cart when a coupon based on the rule is applied. The Labels tab allows you to set labels for your coupon code/promotion. 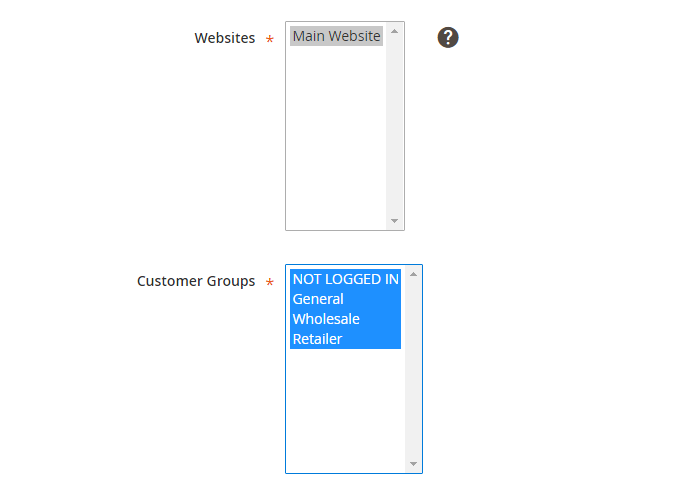 If your site has multiple store views or multiple websites with multiple views, enter in the label text for each one of these in this section. Once your rule has been created and configured, click the Save button at the top right of the page. Voila! Your coupon code and any applicable conditions have been created. Now you’re all set to test the code out by adding a product to your cart and entering in the coupon code. NOTE: If your coupon code conditions are configured to only apply to specific products, make sure that you add those specific products to your cart for testing. You should now know how to create a coupon code for a percentage off discount on your Magento 2 store. With nearly endless options on how to set up discounts and coupons on your Magento 2 store, the power to customize is really in the store-owners hands. Customer Paradigm is always looking for ways to help store owners find success! Feel free to contact us or reach out on Twitter with your feedback!